Red Bull Energy Drink is an excellent source of sucrose, glucose, acidulant, carbon dioxide, taurine, caffeine, glucuranolactone, inosital and vitamins that enhances one’s energy. 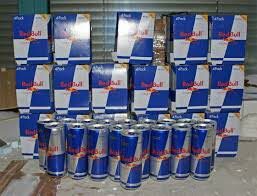 We are named among the renowned Exporters and Suppliers of Red Bull Energy Drink from Thailand. We have a vast distributed network due to which it has been an easy job for us to reach both domestic and international market within the stipulated time frame.